Oftentimes, it is very tasking to visit the supermarket or grocery store to buy things and having to carry your children especially the underage children, this is usually so because one is faced with the tasks of buying your stuffs as well as caring for the safety of your children, as such most parents are tempted to put their children in a shopping cart. 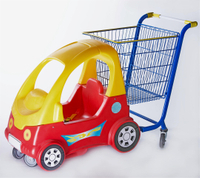 Besides being concerned about the safety of the children, some children would want a Kid Shopping Cart of their own, however not all grocery stores or supermarket have kids shopping cart that could serve this purpose. As a result of this, most parents decide to put their infants in a conventional shopping cart and this often leads to accidents causing injuries that can be severe or even deadly. This kids shopping cart is not only adorable but is a perfect imitation of real carts found in stores, with a basket for a kid’s companion. 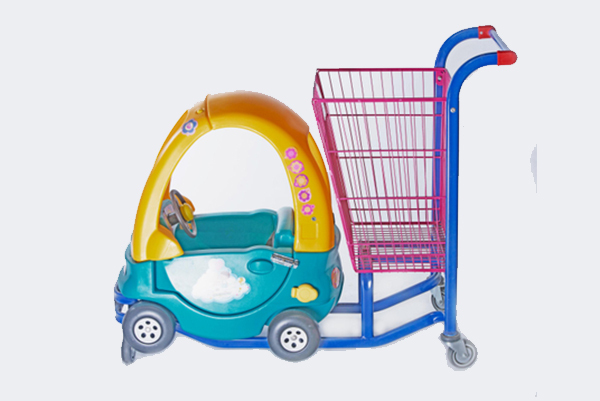 This shopping cart may also be used to convey their favorite toys for the fun and also keep them busy while you do your shopping. This cart provides your children with the most easy and convenient movement possible, enabled by the 660-degree pivoting wheels. 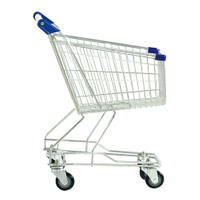 This shopping cart can last for years as it is constructed with a stable metal frame and is suitable for children aged between three to six years. This is similar to the Melissa and Doug is highly reputable and suitable for children. 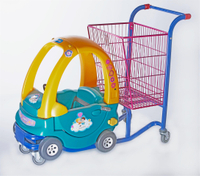 This kids shopping cart features durable walls for a sturdy construction and a deep basket to allow more storage.More so, there is a shelf fitted below the basket designed to give an additional storage compartment. More importantly, it comes with a companion seat that may allow for more than just one child. This cart comes broken down in several pieces in a box smaller than one might think it could fit, thus it requires an assemblage by an adult. The cozy cart is a chinese Kid Shopping Carts that comes with a spacious basket accompanied by an extra shelf for additional storage, which helps the children to be more organized. This can serve as a stroller and a cart, as such little girls can take their dolls with them and keep them busy imagining themselves as a homemaker while the shopping is done conveniently by a parent. This cart does not need any form of assembly. This cart ensures easy movement of children with the smoothly gliding wheels and the extra support offered by this kids shopping cart. It also has an additional lower shelf space that ensures more storage for children. Therefore, if as a parent, one is considering taking their children along to a shopping spree, well-designed Kid Shopping Carts china with zero chances of fall or trip should be purchased to ensure child safety and hassle-free shopping.